First stop were the Blue Pools. This was a remarkable spot where the water is so clear that you can see several meters to the bottom, while giving off a wonderful blue colour. A great little picnic spot, and also a good trout spotting area. You can’t fish here, but there were quite a few brown trout lazing about. 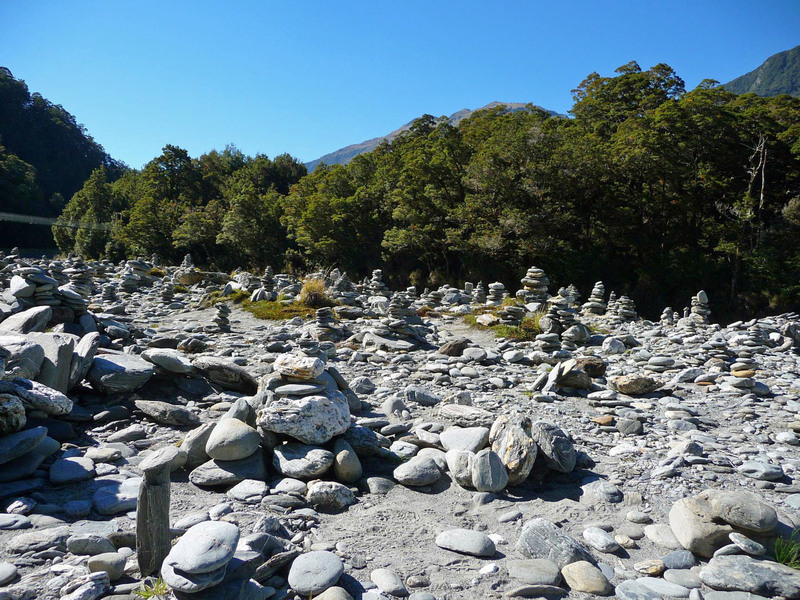 Down at water level, because of the numerous flat stones available, people had built quite a few cairns. A bit further down the road was my regular stop, at Thunder Falls. Then finally, the third major stop, for the walk to Fantail Falls. A beautiful glacially carved valley and near calm river greeted us. Along with millions of sandflies. As soon as we stepped out from the trees we were attacked with purpose by the little pests. We quickly took pictures and retreated back to the forest. 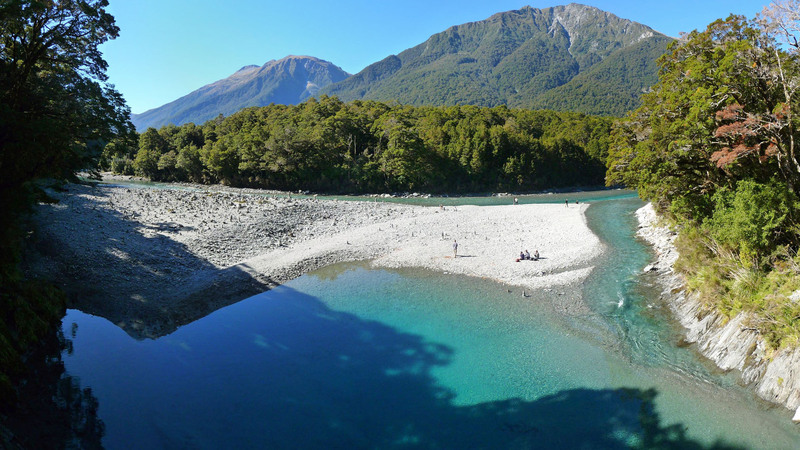 From Fantail Falls, we stopped for lunch in the tiny town of Haast, then continued all the way to the glacier area. 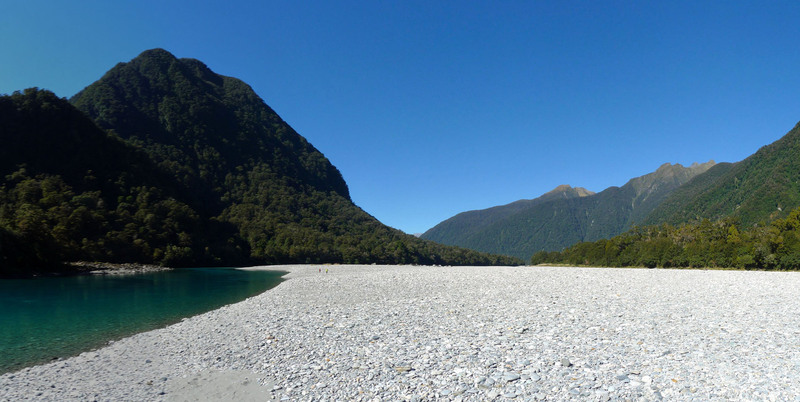 We had originally planned to hike up to Fox Glacier that day, but the pleasant sunny day and the long day in the car meant we just enjoyed the sun at a cafe. The glaciers would wait for another day. 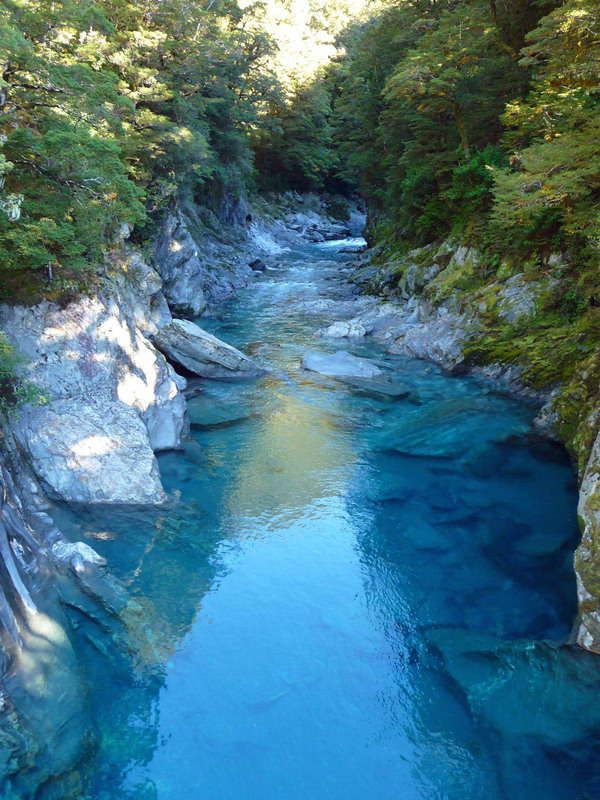 Out of the three major stops made between Wanaka and Fox Glacier, the Blue Pools was easily the highlight one. 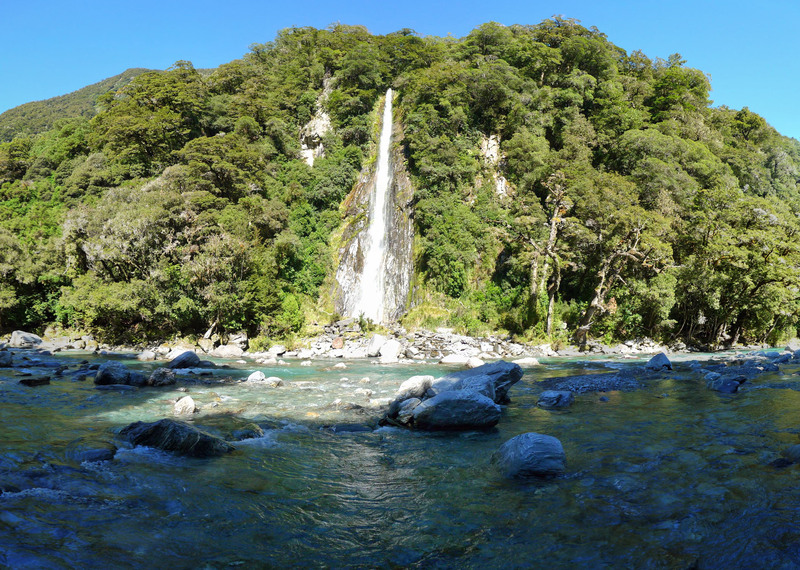 Well worth the easy hike to the pools, it’s a remarkably scenic spot and especially good for a snack or lunch break. 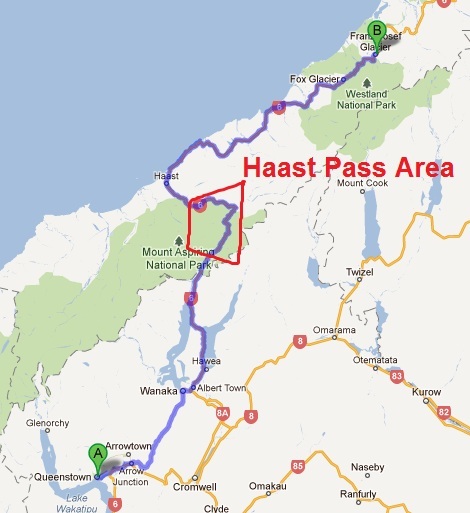 This entry was posted in New Zealand, Travel, West Coast by Colin. Bookmark the permalink.